iHomes are no longer as popular as they used to be, primarily because people use their phones directly for alarms and docking an iPod or iPhone to a speaker is not as common now that wireless connections have taken over. iHome seems to be combing the old and the new with the iBN26 which doesn’t allow for docking and instead works with a wireless Bluetooth connection. The version we tested was black and grey though a white and oak version had popped up earlier this year in some articles. There are just four buttons on the top of the iHome, power, volume up, volume down, and play/pause. Those buttons are usually found on iHome’s products and they do get the job done. 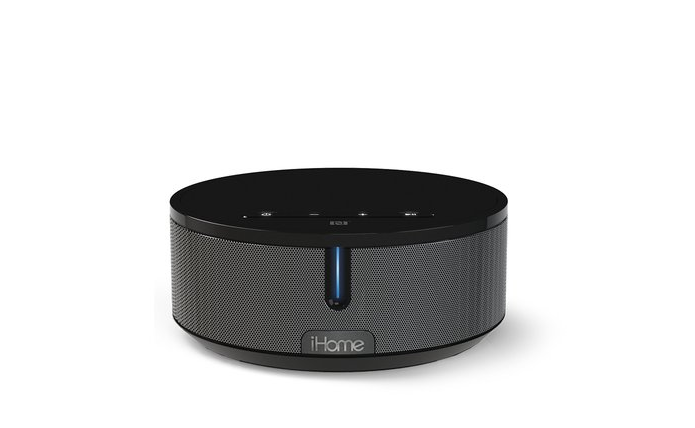 Even though the iBN26 does have a circular design, the speakers only encompass the front of the device and part of the iHome’s side. The back is solely for connections with the pairing button, USB, auxiliary, and power. It is also possible to use the iBN26 for phone calls, since the power and play buttons double as phone call controls. The only real difference in terms of audio quality between music and phone calls on the iHome was that the calls were not as loud, something that is common when hearing call audio through a wireless speaker. Actual audio quality is about what you would expect from an $80 iHome which means that while it was not amazing, the quality was not horrible either. The sound signature was fairly natural and nothing stood out as wrong except for the lack of bass when the volume was turned down. We did notice a fair amount of distortion at higher volumes but it was not nearly as bad as some audio devices in the price range. 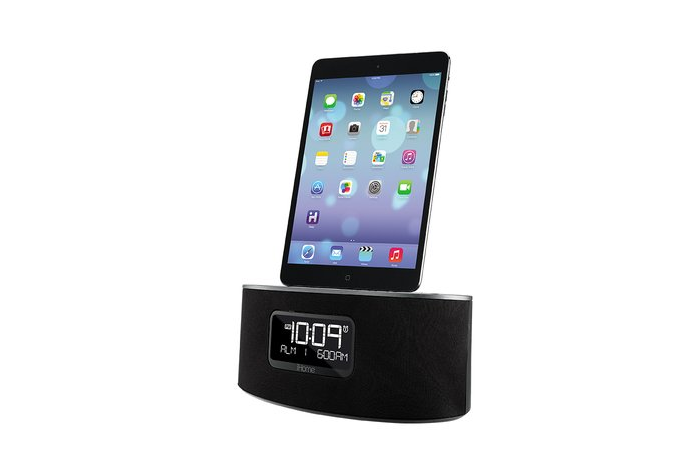 Unlike the iBN26, the iDL46 does make a return to the original iHome style with physical docking and a front-facing display for alarms and time. Audio quality with this iHome is very similar to the iBN26 but it also comes with a handful of extra features like the ability to charge two devices at once with the rear USB port. The iDL46 has FM radio functionality, dual alarms, a snooze bar, and six other buttons. With the additional buttons, the iDL46 reminds me of other iHomes that were released years ago and for some people, that is great since having a iPhone/iPad alarm clock is not necessarily a bad thing. Bass quality was superior on the iDL46 as it was present even at low volumes and overall, the sound signature was on-par with other $100 speakers. Considering that it does have an FM radio built-in and alarm functionality, this iHome is definitely a better device than $100 speakers that have no other features. Both the iHome iBN26 and iDL46 are great for certain groups of people. While I do like that the iBN26 has Bluetooth functionality, there is something about that iDL46’s features that make it a better option. The iBN26 seems like it is stuck in the middle of trying to be an iHome and trying to be a speaker, while the iDL46 has a true identity and plays its part well.